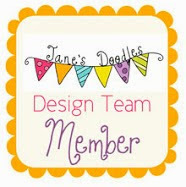 Well today is the first official blog hop at Print Candee. We are excited that you have joined us. If you have hopped on over from Kalyn’s blog you are in the right place! If you want to start the hop from the beginning, head to the Print Candee Blog. There are some great hidden prizes to be won just by leaving comments along the way…you could be a lucky winner! There is also a prize for one lucky person by leaving a comment on the Print Candee Blog. You have until 11:59pm EST on Saturday, September 3rd to comment for prizes. Today the creative team are creating projects with the theme of kids/babies. 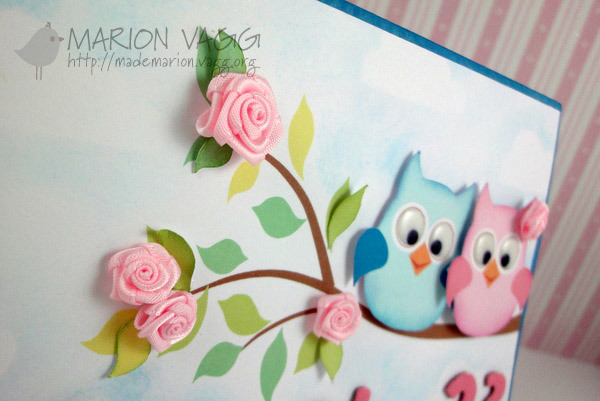 When I saw this, I was over the moon as I have two little ones and I love creating kid’s cards! 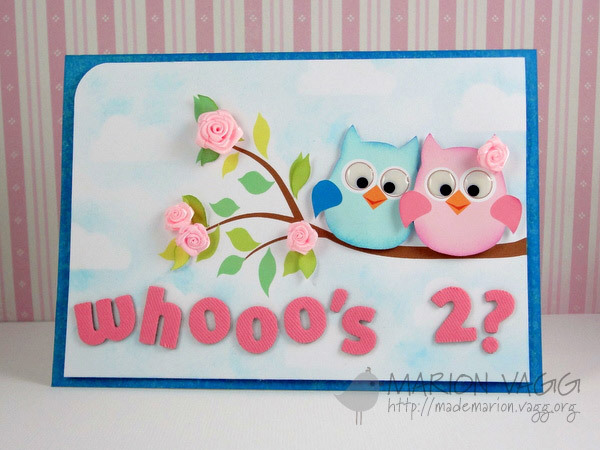 I have made a birthday card for my daughter who turns two in December (I know I am early…but it is good to be organised!) 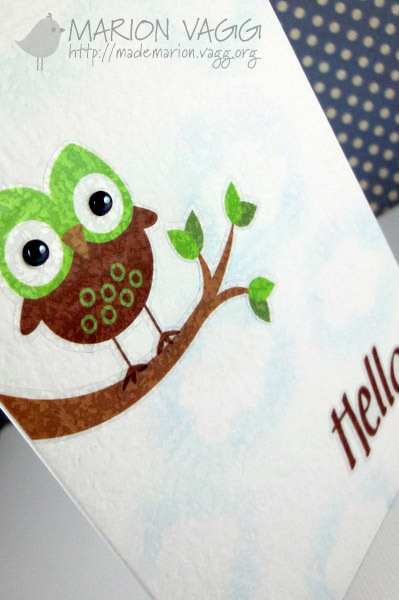 I am into owls at the moment, so when I saw these cute owl clipart images from the store – I was in! I used a cloud from the Cloud SVG Set to create the background by sponging around it several times with a sponge dauber and Broken China Distress ink. The branch was printed onto my base and to add some dimension I added extra leaves. 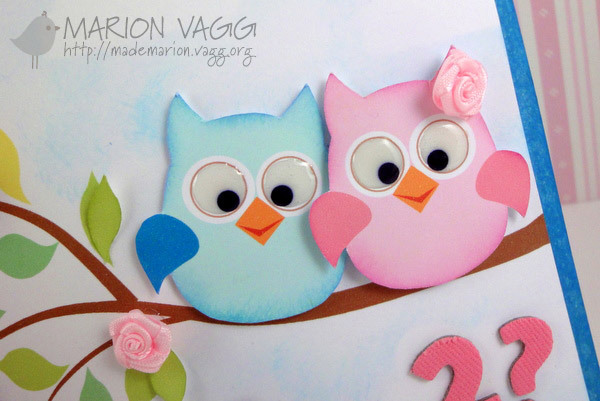 The owls were printed and then cut out and sponged around – and I added Glossy Accents to the eyes to make them shine! Some flowers and Thickers from my stash and I was done! 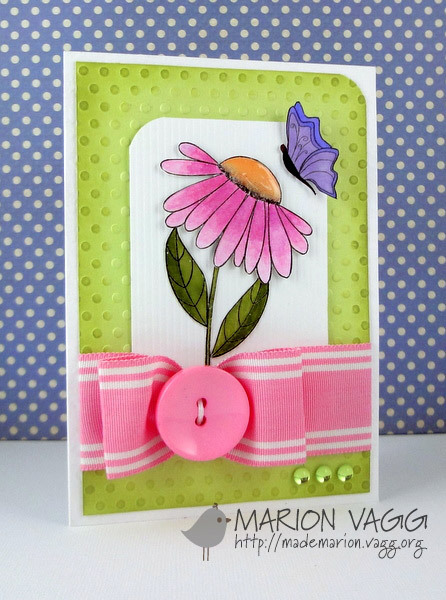 The next stop on the Blog Hop is Jocelyn at Red Balloon Cards. I know she will have something totally amazing for you to feast your eyes upon. And don’t forget that Print Candee is offering 15% off right now – so what are you waiting for? Head to the store and check out the hundreds of digital products they have! 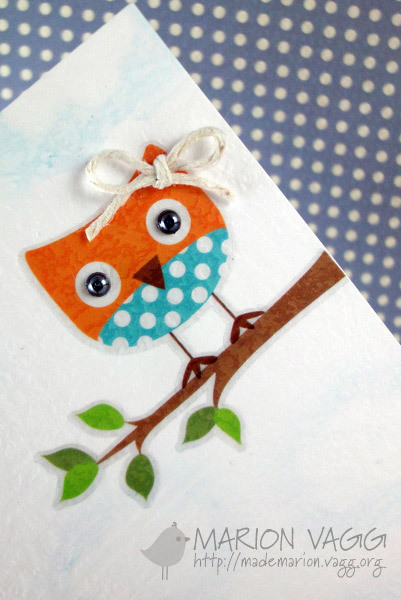 I am into owls at the moment – let’s face it, there are so many owl stamps and images out there that are just soooo cute! These are all stickers from EAD designs. I sponged around a cloud shape repeatedly on the background with blending chalk, it is subtle, but looks better in real life. I love how the textured card gives the stickers a textured look as well. I added some sprinkles for eyes and a bow to make her look more girly. 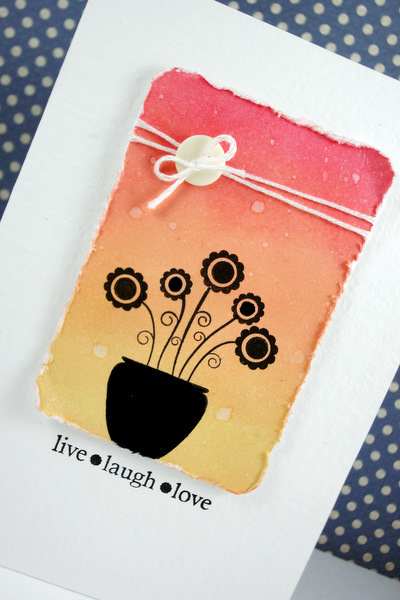 There you have it…a card with no stamps or ink – just chalk and stickers! 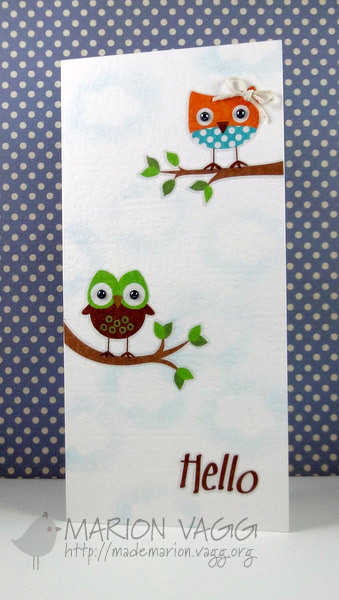 Here ere are another two fabulous owl cards that I have come across recently in blogland that I simply ADORE! Check em out – Amy Wanford and Melania Deasy. Aren’t they just the cutest? Thanks for stopping by. Oh and don’t forget the Print Candee is having their first Blog Hop this coming Wednesday…with lots of fabby prizes! You won’t want to miss it! 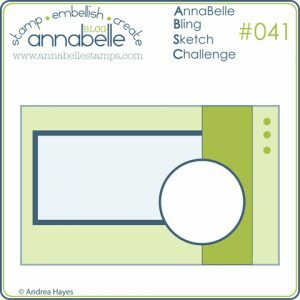 It’s Friday so that means it is time for another challenge at AnnaBelles’s …this week is a sketch challenge. I decided to turn the sketch on its side. I actually mixed and matched some stamps for this one. 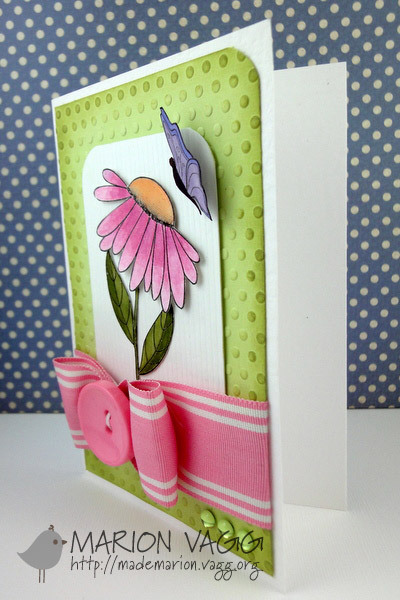 The flower head is from the Squared Posies set, but I wanted a longer stem, so I used some stem/leaves from a stamp in the Whimsy Flowers set. I decided to use a big button as the circle component of the sketch. Thanks for dropping by…hope that you can join in and play along – the winner will receive a $15 Gift voucher to the store. Be sure to check out what the rest of the DT have created. Their links are on the left sidebar. We post our challenges every Friday at 12:00pm AEST (AEDT during Daylight Savings). Each challenge runs for a week, and will close on the Thursday 5.00pm so that we can announce and showcase our weekly winners prior to the next challenge. Each weeks winner will receive our special blinkie to display on their blog and a special little something. Our last challenge for the month will be a sketch challenge which will attract our main prize of a $15.00 gift voucher for that weeks winner. Copy and save our challenge banner and include it and a link back to the ABS blog in your post. Please link directly to your entry not just to your blog. Please don’t link to postings made prior to the date of our current challenge. All projects submitted must be new. A maximum of 7 challenges may be combined including this one. You may enter any challenge several times as long as each submission is with a new creation. 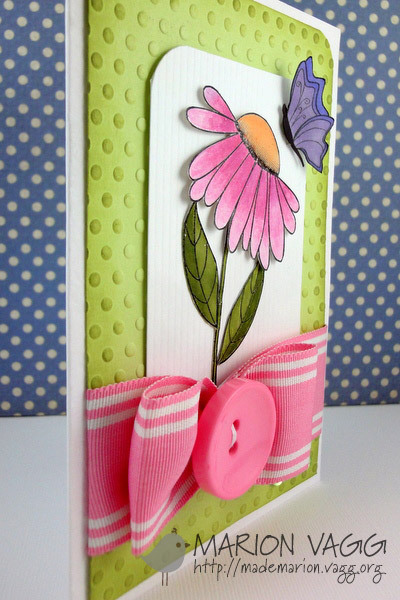 We would love you to use AnnaBelle Stamps and embellishments, but you can play along without using them, it’s all about sharing ideas. Popping in quickly with a wedding card. The wreath was made the same way as I made this wreath on a previous Christmas card. 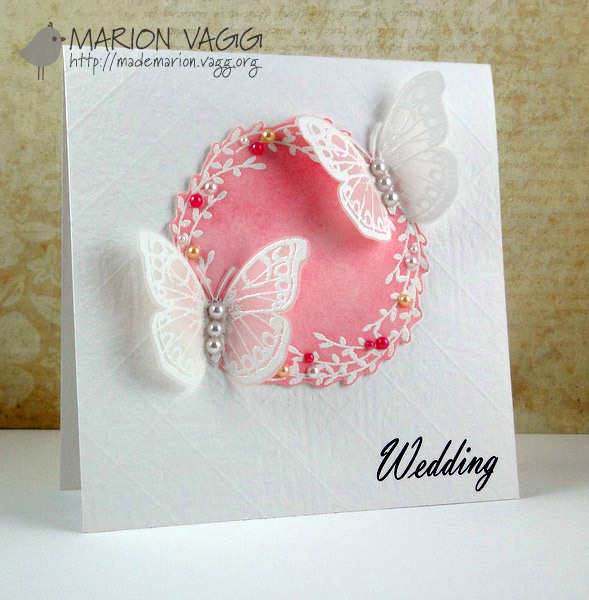 The butterflies were heat embossed onto vellum – something I have never tried before, but I like how they turned out. I am entering this into the CAS-uals Friday embossing challenge. A close up of those vellum butterflies and the wreath which I distressed with Worn Lipstick and then cut around by hand. The photo doesn’t show the score lines on the back panel well, but they are more pronounced in real life. 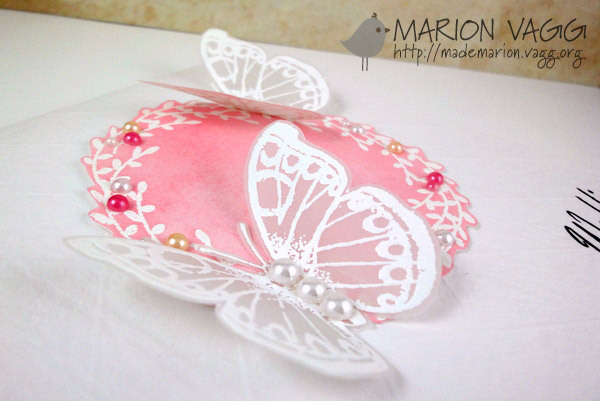 Other Supplies: Vellum, Zing embossing powder – white, heat gun, Kaisercraft perals – snow, pearl, cream, pink, Glossy Accents (to adhere butterflies), Martha Steward score board, Kaisercraft ‘Wedding” rub on. 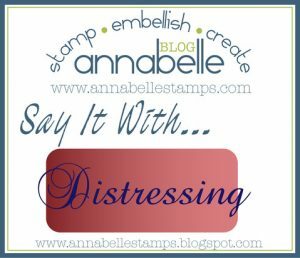 This week’s challenge at AnnaBelle Stamps is distressing. 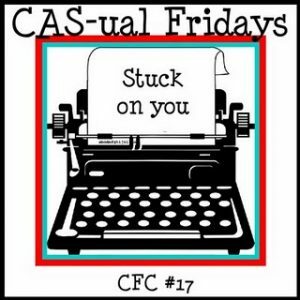 Not what I normally do, so I did find it a little bit of a challenge, but I still managed to create a CAS card. I used distress inks to create the sunset scene (I love to do this) and then distressed the edges with my scissors (something that I don’t do often). I also flicked some water onto the background to add to the distressed feel. I stamped the images from the Dotted Flowers stamp set and then coloured them in with a black felt pen to create a silhouette image. Hope that you can play along. The winner will receive a special blinkie and a little something from the AnnaBelle store. 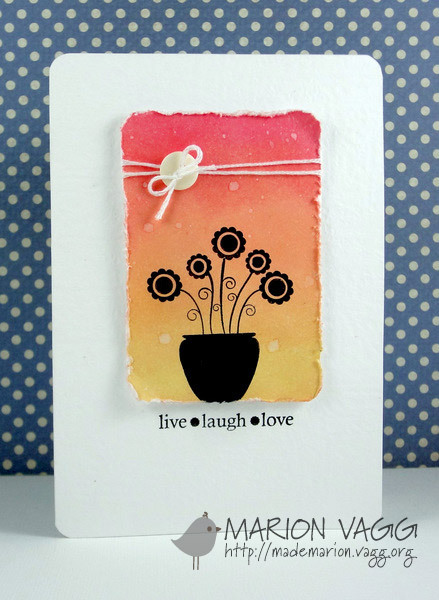 And don’t forget that you still have time to win the Squared Posies stamp set from the blog hop on Tuesday – it’s open to everyone, so why not add your name? Go here for the details.